In my opinion, the 1970s were the Golden Age of the television situation comedy. 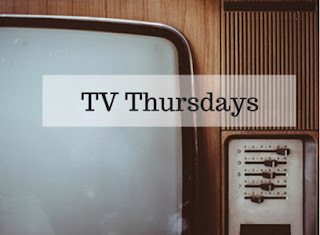 With shows like The Mary Tyler Moore Show, All in the Family, M*A*S*H, The Bob Newhart Show, WKRP in Cincinnati, Taxi, The Odd Couple, and several others, an era of intelligent comedy programs took place. All in the Family was a 1970s cultural phenomenon, and was by far the biggest hit on television at that time, driven by the tackling of controversial topics during an era of great social changes in America. There were TWO early pilots shot for the series, the first one in 1968 and the second one in 1969. The show that we know finally began to air on January 1971. The first two pilots were not seen for years but they are now up on YouTube. The only cast members that made it through all of the pilots and the final series were Carroll O’Connor as Archie Bunker and Jean Stapleton as Edith Bunker. The characters of the show evolved as the producers tried to figure out how to make the show work. In the first pilot, Justice for All, Archie and Edith’s last name is Justice. Archie is definitely smarter than he was on the subsequent series. Edith was more sarcastic, too. The first two pilots was done for ABC, but never aired. The actors playing the roles of the daughter and son-in-law are different in both pilots, but none of them were on the show when it made it on the air as a series. As you will see (and hear), they already had the correct theme song! Somehow it made it through all the different versions of the pilot, although it was too long in the first pilot. The house interiors are different, too. In the second pilot, Those Were the Days, is similar to the first pilot but the O'Connor and Stapleton are more comfortable with the characters. Again, the daughter and son-in-law are played by different actors. The episode is broken up into 3 parts, but unfortunately Part 2 is missing. Apparently it was removed from YouTube. There is the apparent third pilot, "Meet the Bunkers" which served as the first episode of the new show. The characters of Mike and Gloria was now played by Rob Reiner and Sally Struthers. It was taped in 1970 and aired in 1971. The first two pilots were never aired at the time, but even the version that we know so well was not immediately successful. Of course, it eventually became the biggest hit on American television. The original version of All in the Family ran from 1971 to 1979, then it became Archie Bunker’s Place and that version lasted until 1983. For some reason, the theme song is muted in this video, probably for copyright reasons. But the rest is fine! The complete episodes of the first two pilots are available on the complete boxed set. Although All in the Family received most of the praise for its handling of controversial topics, the show is really about a family. I believe that's the main reason the American public loved it so much. There is an interesting analysis of the show in The New Yorker. We were living overseas and when we came back everyone was talking about All In The Family. That's when we started watching. I watched a few minutes, but will have to come back and watch the rest. Seems funny to see different people as Mike and Gloria. It really is different with a different Gloria and "Meathead." I can't remember if you already know about this, or perhaps I told you in the past. I've been watching since it first began many years ago. It's pretty neat to see the falcons nesting on top of this building in Jersey City. Not too much going on yet. http://www.conservewildlifenj.org/education/falconcam/ Thought you might be interested. Wow! I've never seen that before! Thanks for telling me about it!